Bruce Owen is a Customer Service Technician at AbsolutAire. In this role, Bruce provides technical support to contractors and owners and does most of the electrical design for field modifications. Because of his vast experience, Bruce is also a valuable mentor to other employees in all areas of AbsolutAire’s electrical design and manufacturing departments. 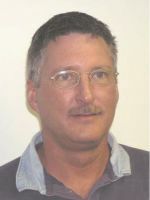 Bruce began his HVAC career in 1978 with Rapid Engineering in Grand Rapids, Michigan. He held various positions in manufacturing and engineering during his twelve years with the company. In 1990, Bruce left the company to become a realtor with Westdale Better Homes and Gardens in the Grand Rapids area. He then joined AbsolutAire shortly after its start-up in 1992 and for a number of years managed electrical assembly. This position led to his working as an Electrical Engineer before assuming his current position of Customer Service Technician. Bruce has taken selected classes in Electrical Systems Design at Grand Rapids Junior College. During his time with AbsolutAire, he has also participated in various specialized training opportunities provided by HVAC component suppliers, including Maxon Burners, Honeywell Burner Controls, and Lincoln Motors.